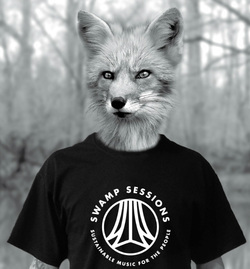 Swamp Sessions is presented by Awendaw Green and designed with great care to bring educational and connective opportunities to artists in a pristine, natural setting on solar power. We wish to preserve and cultivate musicianship, sustainable energy, and the natural lands in our lovely state. CAROLINA SOUND is an initiative to build a music sanctuary, Hall of Fame, and free information and advice center for Carolina artists. It is located on the border of SC and NC.